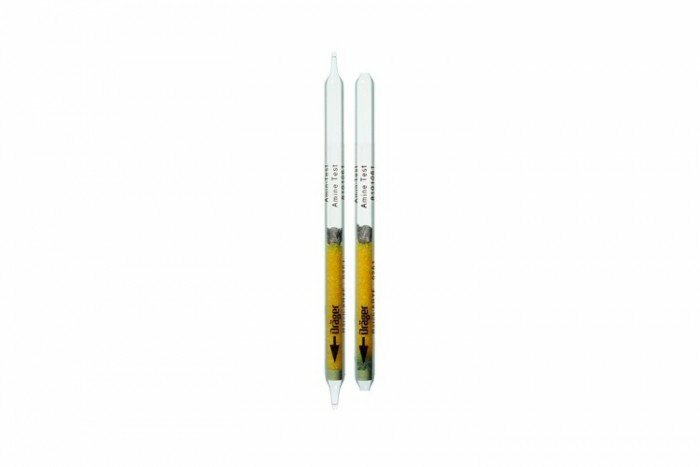 These Amine (general) short-term detection tubes are also able to detect levels of Diisopropanolamine and Methoxypropylamine. They have a qualitative standard measuring range and a shelf life of 2 years. The tube indicates unspecifically basic reacting gases with different sensitivities. It is impossible to differentiate between the basic reacting gases.